King of the Hill (KOH) is brought to you by Aruba Rocks! KOH is Aruba’s first climbing sports event where individuals run up to reach the top of the Hooiberg as fast as they can. It’s simple, athletes run up once and the athlete with the fastest run time wins! King of the Hill is a not-for-profit event and the goal is to raise funds for Fundacion Autismo Aruba (FAA) to support 5 families with children in need of therapy. Due to safety and time frame we can only allow 125 individual participants. Therefore, we have set a time limit of 8 minutes per climb. In order to register for KOH, participants must have climbed hooiberg under 8 minutes or less. This must have taken place no more than 2 months before the registration date. 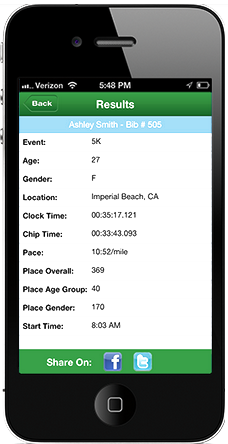 Enter your best time so far and estimated time on race day. Pay registration fee, on November 26-29, 2018(9.30am-4:30pm) and pick up KOH cap and bib at IBISA. Show up at Hooiberg and race on December 1st! More details below. The King of the Hill event is mentally and physically challenging. You lead a healthy lifestyle with an active mind and body. You’re an adventurer. You promote self-confidence, independence and a no fear attitude. The King of the Hill is all about fun and friendship. Bring your family and friends along, there will be entertainment, food, drinks and good vibes! All athletes must pay the total registration fee of Afl. 35 in order to secure their spot. The registration fee includes a cap and bib which needs to be picked up at IBISA. The KOH event is only open to athletes who are sixteen (16) years old or older as of the date of entry. The KOH event is only open to athletes who have met the 6-minute or less time limit. There are 125 spots for individual athletes. The main KOH event will be held on December 1st 2018 between 1pm and 6pm. Entrants must download the KOH free app on their mobile device. click Apple here! or click Android here! Download APP then put Aruba in search! Aruba Triathlon Association is the official time keeping device for this event. Registration closes when 125 athletes have paid the Afl. 35 entry fee. The KOH event organizers will place athletes in a specific race group and determine approximate starting time. AZV Insurance: all athletes entering the event must have their own AZV that is valid in Aruba. Compulsory medical insurance is required for international, non-resident athletes. Online registration form will ask to tick a check box confirming athlete has AZV insurance. Athlete will be called by name to race as per his/her category/group. Athletes will race in time of intervals of 30 seconds, meaning every 30 seconds an athlete will start the race. If athletes can’t reach the top due to injury or fall, the athlete will be disqualified from the event. Athletes must reach the top of the hill for time to be measured officially. If an athlete is being overtaken by another athlete, the slower athlete must step aside on the stairs to allow faster athlete to pass. Complimentary sport drinks and water available for athletes at the event. Food and other drinks will also be available at the event for purchase. The athlete who wins the climb is required to attend the Official Award Ceremony at the end of the day.